Instant Coffee first came into commercial existence in the early 1900’s when an English chemist named George C. Washington created what he called a ‘refined soluble coffee.’ He hit upon the idea when he was living in Guatemala and saw dried coffee deposits on the lip of his coffee pot. He began experimenting and eventually produced a dried coffee crystal named Red E Coffee. During World War I, instant coffee became popular, especially among soldiers in the trenches. 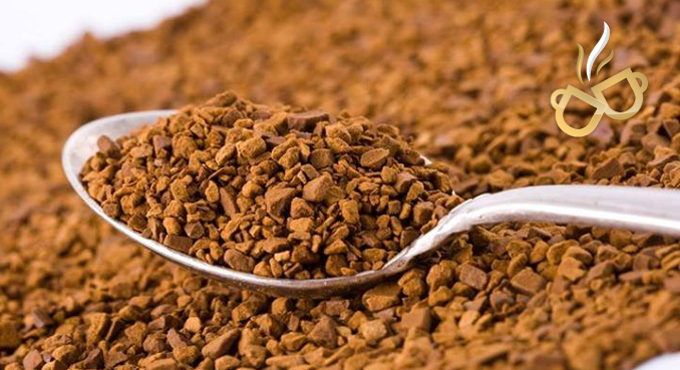 Eventually, other companies began producing various types of instant coffee: liquid, crystallized, coffee mixed with carbohydrates, freeze-dried and spray-dried. Over the years, the taste of instant coffees has been up for debate. It is probably why instant coffee has gotten a bad rap in North America, despite being found on all grocery store shelves with literally thousands of tons a year being sold. In Europe, though, many brands of instant coffee are premium quality products. Those same Europeans who buy and drink instant also buy and drink brewed coffee. Because Enjoy Better Coffee, Inc sells European instant coffee, we have many of the most popular brands from France, Germany, the UK, Poland, Austria and of course, the Netherlands, where Douwe Egberts is produced. Douwe Egberts, one of our premier coffee makers, produces several types of instant coffee, including the extremely popular Dutch staple Aroma Rood; we also have instant Pure Gold, Pure Indulgence and Pure Decaf. Made in Europe for the European market, these coffees are full of flavor and are so convenient. Try an instant cappuccino or a 3-in-1 instant with the cream and sugar already added. We think you will be surprised by their full flavors. We also carry several instant drink products that are fabulous coffee substitutes, good for any time of day or night: Leroux Instant Chicory, Ricore Instant and Pero Instant drinks. 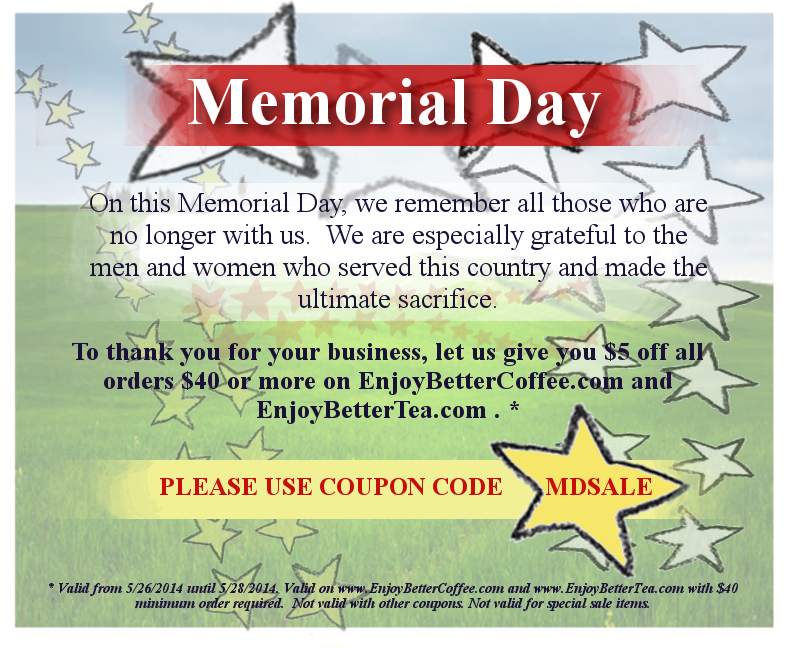 *Discount valid through 5/27/2014 at www.EnjoyBetterCoffee.com with no minimum order. Not valid with other coupons. Not valid for special sale items. On May 26, 2014 May 26, 2014 By KTIn Coffee is all around! Go to www.EnjoyBetterCoffee.com and www.EnjoyBetterTea.com to save, now through Wednesday! If you’re Italian, you may drink a lot of coffee and have strong opinions about coffee. Lavazza – our coffee of the week – supplies half of the coffee drunk in Italy so it must please a lot of people who should know good coffee. A coffee maker with an international reputation, Lavazza started off small in a tiny shop in Turin, Italy over one hundred years ago. Today their coffee is enjoyed all over Europe. 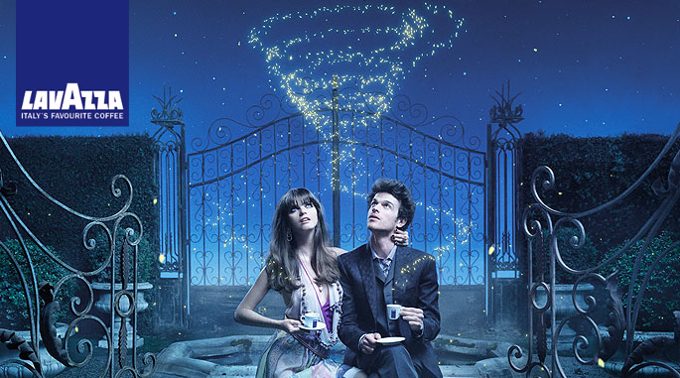 For example, if you’re a tennis fan, you may see Lavazza cups on display on the court at Wimbledon this year – Lavazza is again the official supplier of the Wimbledon tennis tournament. Gran Aroma ground coffee is a balanced blend with floral and citrus notes. This medium roast and strength coffee is perfect for any time of the day. Classico ground coffee has a signature aroma that is intense and fruity. With the rich and full-bodied flavor, this coffee is strong enough for mornings. Perfetto ground coffee, with its bold and caramel tones from the longer roasting time, has the typical Italian dark flavor of espresso roast. Gran Selezione ground coffee has an intense flavor, full-bodied taste with chocolate notes. In addition to being a strong dark roast, this coffee is Rainforest Alliance Certified. 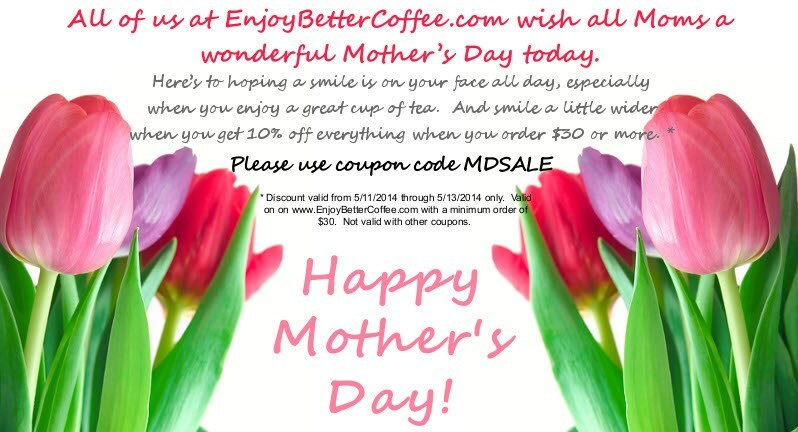 *Discount valid through 5/21/2014 on www.EnjoyBetterCoffee.com with no minimum order. This discount cannot be used with any other coupons or discounts. Not valid for discounted, special sale or case sale items. On May 12, 2014 May 11, 2014 By KTIn Coffee is all around! 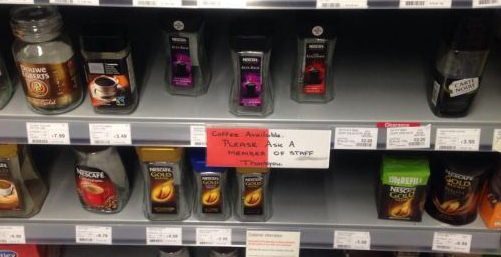 A grocery store branch in Blackpool England, after losing jars of instant coffee to shoplifters, resorted to putting empty jars of instant coffee on the shelves. After a month or so, another branch of the grocer did the same thing. Shoppers were told that they would get a full jar at the cash register when they paid. When a patron tweeted out a picture of the empty jars, Twitter lit up, including some tweets from a district manager who wanted to know which stores were doing it. The discount applies to everything at www.EnjoyBetterCoffee.com, coffee and tea and accessories. The discount is valid through 5/13/2014. Bravo began as a coffee brand in 1923 when the Samourkas family opened 2 traditional coffee shops in the heart of Athens. When cousin Dimitris established the Brazilian coffee branch of the family business in the 50’s, Bravo became the name in Greek coffee. One Bravo store boasted the largest coffee grinder in the country as well a new device, the automatic packaging machine. By packing coffee in tins, the company developed a reputation for the highest quality coffee and high sales of the coffee followed. In 1980, Bravo developed the innovative air-tight package for coffee, and were the only ones packing coffee that way. The company slogan “BRAVO, that’s what coffee is” went on to be a Greek advertising success story. When Douwe Egberts acquired the company in 1995, the Bravo coffee tradition was preserved and continues up to today. We have Bravo ground coffee in ½ pound and full pound sizes. The light roast is made for use in a Turkish coffee pot. What comes to mind when you think of The Netherlands? Because The Netherlands is home to Douwe Egberts, we think of great coffee. There are also clogs, canals and windmills, of course! Across Holland, the second Saturday and Sunday in May find the Dutch celebrating National (Wind)Mill Day (which has grown into a weekend from its popularity). For centuries, windmills were a key part of the economy. Windmills were originally used to mill grain for food. Windmill machinery in the modern world often provides a way of generating electricity or is used to pump water for drainage and groundwater extraction. Of the 10,000 windmills operating in The Netherlands in 1850, about 950 are still standing, often run these days by volunteers. While the Landelijke Molendag is celebrated in The Netherlands, Germany, Switzerland, the United Kingdom and other countries in Europe also celebrate the impact of windmills around this same time of year. What’s the best way to see the windmills? Why on a bike, of course – yet another Dutch icon! *Discount valid through 5/7/2014 with orders of $30 or more of Douwe Egberts coffee and Senseo Pods at www.enjoybettercoffee.com. Not valid for discounted, special sale or case sale Douwe Egberts or Senseo items. We always have decaffeinated coffee available at the office and at our homes. You never know when someone will really want that cup of coffee but not want the caffeine. We prefer to serve one of the best decaffeinated coffees on the market: Douwe Egberts Aroma Rood Decaf. Recently, we again received Aroma Rood Decaf (it had been temporarily discontinued a while ago) but now it’s back and available once again! This coffee has all the flavor and aroma of Aroma Rood, so it tastes great, smells great and best of all, you won’t miss the caffeine. We like this coffee so much, we are offering an additional $1 off per package in addition to our 10% discount! You can really save with Aroma Rood Decaf. Don’t forget we have the entire Aroma Rood line now: Regular, Blonde, Donker and Decaf. You can enjoy Aroma Rood coffee all day long!